This is my Guff. He's really nice. I've known him since I was little. And I still know him even now I'm biga A funny and delightful picture book for 4+ for anyone who's ever had a little fabric friend. 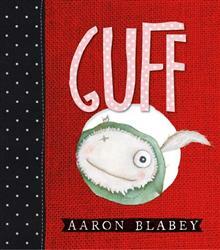 From the award-winning and best-selling author, Aaron Blabey. Aaron Blabey has won a CBCA (Children's Book Council of Australia) Book of the Year award for Pearl Barley and Charlie Parsley, an AFI Award, and his book The Ghost of Miss Annabel Spoon won the Patricia Wrightson Award in the NSW Premier's Literary Awards and also won a Children's Peace Literature Award. Aaron has been included on the Smithsonian Institute's Notable Book List and has been a National Literacy Ambassador.